The Cloverfield franchise continues to be one of the most unique and groundbreaking film series out there. Not necessarily in terms of form or content, but in their unusual release strategies and abject refusal to answer many basic questions about their plots. While some find this frustrating, or even an example of weak filmmaking, there's something kind of refreshing about their lack of the over-explanation that pervades our current culture of endless prequels and reboots designed to explore the origins of our favorite stories. They have also revolutionized cinematic release patterns. The original Cloverfield (2008) was promoted by mysterious trailers that didn't even reveal its title. 2016's 10 Cloverfield Lane was announced mere weeks before its theatrical debut. 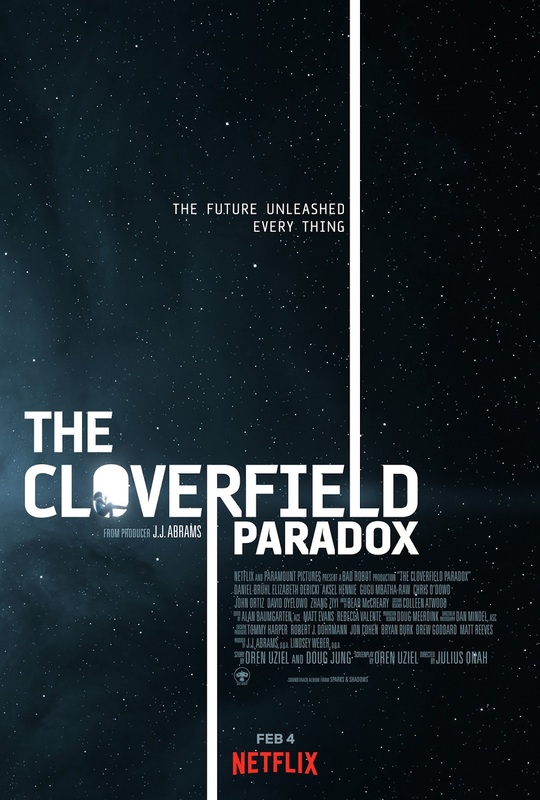 The latest film in the franchise, The Cloverfield Paradox, wasn't announced until the day of its release, heralded in a Super Bowl commercial and released on Netflix after the game. One can easily debate the merits (or lack thereof) of such a release strategy, but it's undeniably a bold move, and producer J.J. Abrams will likely continue to push the boundaries of traditional release windows with subsequent films. The Cloverfield series up to this point hasn't been particularly connected to each other. 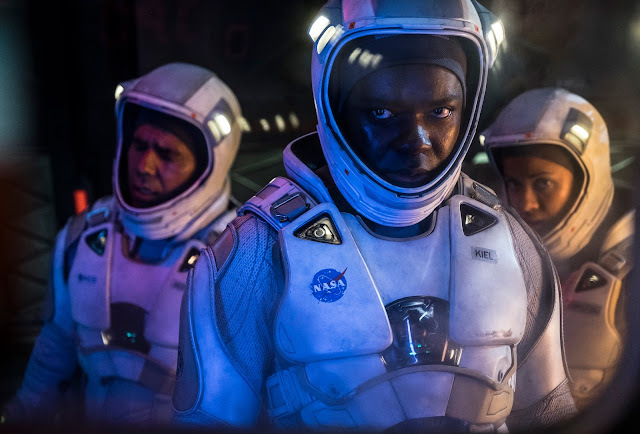 The Cloverfield Paradox seeks to connect the universe together while still leaving multiple question marks hanging in the air. The original Cloverfield was a hand-held, found footage monster movie about a giant creature rising from the sea and laying waste to New York City. 10 Cloverfield Lane was a paranoid thriller about man who may or may not have kidnapped a woman, and who may or may not be hiding in a bunker from mysterious creatures outside that may or may not exist. Like feature length "Twilight Zone" episodes, each has taken an outlandish situation and grounded it in a tense reality, questioning our perceptions of our own reality. The Cloverfield Paradox moves the action into the future, where the international crew of a space station is working on a particle collider that could solve Earth's energy crisis. With the world on the brink of war, the crew is running out of time for a successful firing. However, an overload accidentally creates a rift in the space-time continuum, leaving them stranded in another dimension. Faced with increasingly dire circumstances, and even more bizarre events, the crew must work together to return to their own universe, but the damage they caused to the Earth may be irreparable. 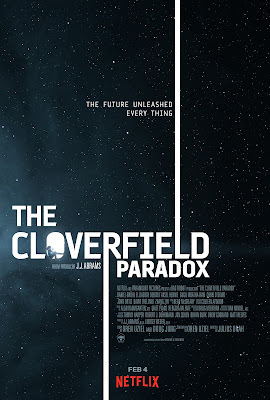 Director Julius Onah attempts to unify the Cloverfield universe without offering direct answers about the events of the previous films, framing them as results of the rifts created between universes echoing through time. While perhaps not as strong as its predecessors, The Cloverfield Paradox has been somewhat unfairly pilloried on social media despite being a perfectly fine sci-fi adventure. What I love about these movies is that they don't need to explain every detail about their worlds. We accept them, and their outlandish premises, because their realities are so compellingly realized. The use of parallel universes and alternate realities may seem like a cop-out to some, but it allows the filmmakers to get away with pretty much anything they want without having to explain anything, which fits perfectly into Abrams' infamous "mystery box" mentality. In fact, it's probably the best use of the "mystery box" we've yet seen, and opens up a world of infinite possibilities for future sequels. The film's strongest point, though, is its cast. 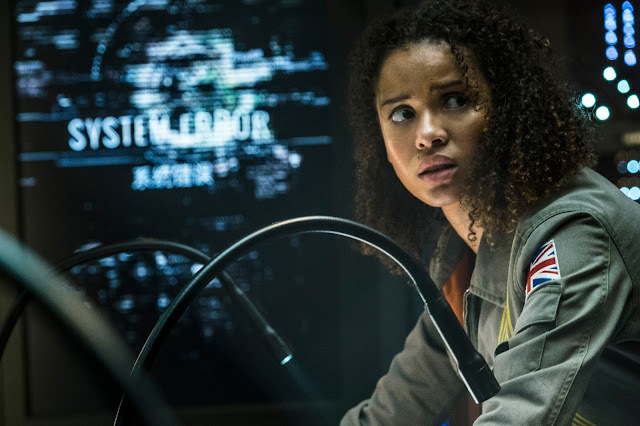 Lead by Gugu Mbatha-Raw, who remains one of our finest, yet most criminally overlooked, actresses, the cast of The Cloverfield Paradox is universally excellent (although Chris O'Dowd's comic repairman feels a bit out of place), bringing together the likes of David Oyelowo, Zhang Ziyi, Daniel Brühl, and John Ortiz together under one roof. Their dedication to the material sells elements that could have otherwise come across as silly. That's ultimately what makes Onah's direction so appealing for me. He takes a wild premise, fills it with some truly absurd imagery, and turns it into a gripping sci-fi adventure that focuses on its most human elements. The logic of the story is often loose, but it only ever answers the questions it absolutely needs to answer, which is as it should be. It tosses us in the deep end of an alien world to either sink or swim, but with the help of a stellar cast and an intriguing premise, not to mention a truly stunning score by Bear McCreery that often sounds like a hybrid of early John Williams and James Newton Howard, Cloverfield Paradox manages to stay afloat on its own merit. I can't wait to see where they take this franchise next. THE CLOVERFIELD PARADOX | Directed by Julius Onah | Stars Gugu Mbatha-Raw, Chris O'Dowd, Zhang Ziyi, Daniel Brühl, Elizabeth Debicki, David Oyelowo, Aksel Hennie, John Ortiz | Not Rated | Now available to stream exclusively on Netflix.